Febe van Zwambagt drove her FS Las Vegas (by Lord Loxley) to victory in the Young Riders test this afternoon. With the son of Lord Loxley she managed to score a score of 71.961%. The jury was particularly impressed by the troth and so she ended almost unanimously in the first place. Also Kimberly Pap scored with Vloet Victory (s Jazz) a nice score of 71.814% with which the combination was put in second place. 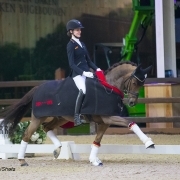 They remained Thalia Rockx with Gerda Nova (by Romanov), who finished in third place with a score of 70.147%. 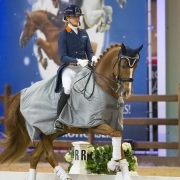 The other top five consisted of a fourth place for Fabienne Jongen and Botticelli, followed by a fifth place of the German Sophie Reef with Rue Noblesse. For the second day in a row, Lara Van Nek convinced the jury of her abilities. The Dutch Children rider unanimously rode her Fariska to victory. Van Nek and Fariska showed better canter work and worked out the different exercises nicely. With a total score of 75.513% the combination stayed well ahead of Lisa Steisslinger. The German followed second place in the saddle of Caddylack. The combination improved through the test and finally received a total score of 72.308%. She stayed ahead of home rider, Alexander Goovaerts with his horse Habiba vh Bloemenhof. The Belgian finished third with a score of 68.590%. The combination showed restlessness in the resting part and was punished accordingly, which resulted in third place. Siemmeke had to stop her participation at CDI Lier prematurely because early morning fire broke out at Gestüt Erlenhof, the Rothenberger family’s stable. During the fire, several horses fled into the forest. An as yet unknown number of horses died in the fire. Sanneke ran smoke poisoning and is currently in the hospital. According to a spokesman for the police this morning the fire broke out at 6.15 am, the fire had started in the indoor arean. 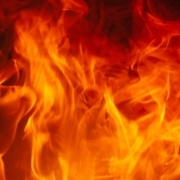 Several horses have died in the flames. Two people who have tried to save the horses have suffered symptoms of poisoning. The extinguishing works will continue throughout the day. The large indoor arena has completely burned down, the fire has spread to the stable building next to the arena. Horses who have fled into the forest have been caught again. The damage is huge! Family Rothenberger has responded to their website: “We drove home straight from Lier. It is certain that we have lost a large part of our life’s work: our riding hall, our stable, a number of young horses and pensionary. Sönke and Sanneke were alerted to the fire when the dog barked. Sönke was able to accommodate Cosmo in the Krause family’s stable and also saved Goldi. Several horses have been injured. Sanneke is in the hospital with a smoke poisoning. The organization of CDI4* Lier wishes the Rothenberger family a lot of strength with this great tragedy. In the last competition of today Semmieke Rothenberger kept the competition behind her. 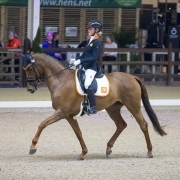 The Belgian jury Jacques van Daele and Franse Isabelle Judet put the German rider in the first place. Rothenberger left the Dutch Thalia Rockx behind her. Rothenberger started impressing and continued this for the entire test. The shoulder-in was very powerful, overall a very strong performance which was rewarded with a score of 73,333%. 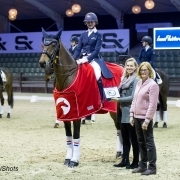 With a big difference Rockx became second with with Gerda Nova. The combination lost some points in the halve pirouette and also at the end she had a small mistake. Still Rockx performed a wonderful test, Febe van Zwambagt followed her in third place. 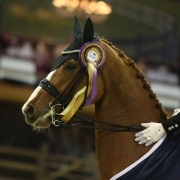 In the saddle of FS Las Vegas van Zwambagt scored a totaal of 69,706%. The top five colored complete Belgian with Laura Luytenmet J2L Lamborghini (68,529%) at the fourth place Marieke Van Nespen with Giorgio Armani (68,235%) at the fifth place. The Dutch Micky Schelstraete started with the juniors today. Year after year she has been in the spotlights. Today Schelstraete took victory in the juniors competition with her horse Grand-Charmeur. The Belgium jury Jacques Van Daele and the Dutchse Jaenette Wolfs put Schelstraete in first place. Although the half pirouette was a little bit less, the combination excelled in the canter and overall a very steady test. 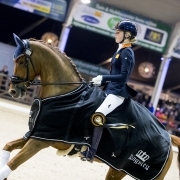 The performance was rewarded with a total score of 71,616% which gave a close lead to the German Lucie-Anouk Baumguertel with Zinq Sweetheart FH. Baumguertel impressed Jo Graham with an almost perfect the collected walk and half pirouette left. The combination received a total score of 71,212%. In the first international pony class in Lier the German youth ruled. The Kingsley Prix became a team competition where Shona Benner led the individual classification. Benner was put first by Isabelle Judet and Jeannette Wolfs. Belgian judge, Freddy Leyman was less convinced of her performance with Der Kleine Sunnyboy WE. Benner got nice scores for her trotting and the change from the half-circle. With a total of 73.466%, Antonia Busch-Kuffer with Daily Pleasure WE followed Benner into a second place. Busch-Kuffner’s performance was rewarded with a total of 72.190%. The Dutch rider, Micky Schelstraete completed the top 3 with Elin’s Noncisdador. Schelstraete drove a stable test where she scored eights for the simple change to collected canter. The combination scored a total score of 71.810%. Also Johana Kullmann with Champ of Class (7 &, 381%) and Lucie-Anouk Baumgeurtel with Zinq Coriander FH (71.286%) reached more than 70%. CDI Lier started with the Children as first competition today. The Dutch Lara Van Nek was able to take a generous lead with her horse Fariska (v. Vivaldi). Van Nek took a unanimous victory with 76,061%. With a difference of almost 3% Lisa Steisslinger followed with Caddylack (by Casall). The German scored a total of 73.864% . Alexander Goovaerts took third place for his own audience. Together with Habiba vh Bloemenhof (by Whahid) the Belgian just reached the limit of 70.00%. 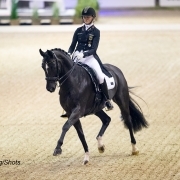 Names that will appear on the starting list are the Belgian dressage icons Jorinde Verwimp in the Grand Prix with Cape Town, Fanny Verliefden with Indoctro and Jeroen Devroe with Eres DL. CDI Lier will also be the international debut for Cape Town. Jorinde has only started Grand Prix twice before at national level. For Great Britain Emma Hindle with Romy Del Sol and Charlotte Fry with Dark Legend are on the list. The Netherlands also comes with a number of strong participants including Diederik van Silfhout with Expression N.O.P, Anne Meulendijks with MDH Avanti NOP and Stephanie de Frel, who recently started lessons with Anky van Grunsven, with Beach Boy. You will also find riders from Germany, Japan, Luxembourg, Finland, Australia, Ireland, Portugal, Norway and Sweden in the participants field. In the Prix St George, Isabel Cool and Jorinde Verwimp have signed up for Belgium. Semmieke Rothenberger come to represent Germany and for the Netherlands Diederik van Silfhout has signed up his horse Dahlhoff. View here the full list of competitors. The third edition of CDI Lier is also held at Azelhof in Belgium. 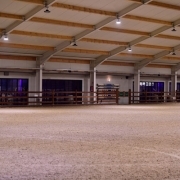 Azelhof has built a new indoor hall (60x33m) last winter. 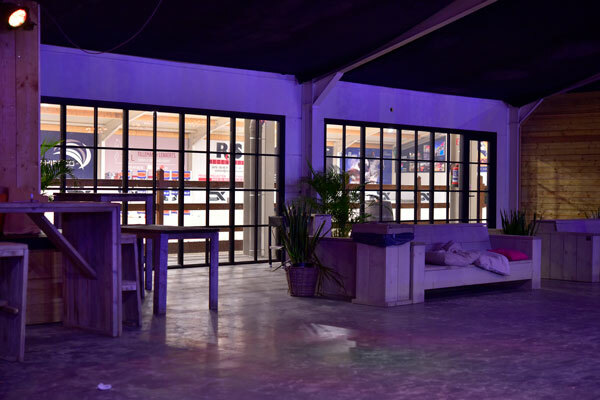 The new indoor ensures that the conditions for the participants of the International 4-star competition have improved considerably. 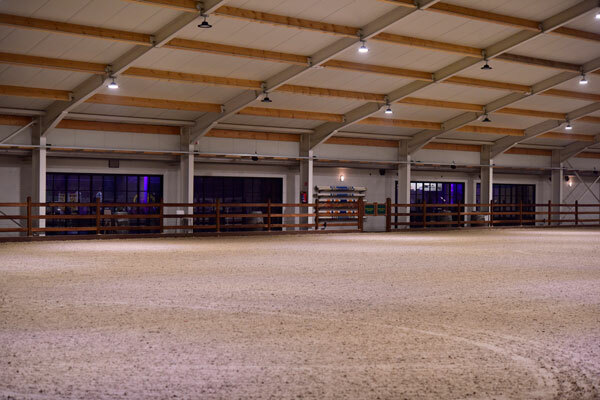 The new indoor hall will be used as the warm up arena, allowing participants to have optimal conditions for warming up their horse for the test. 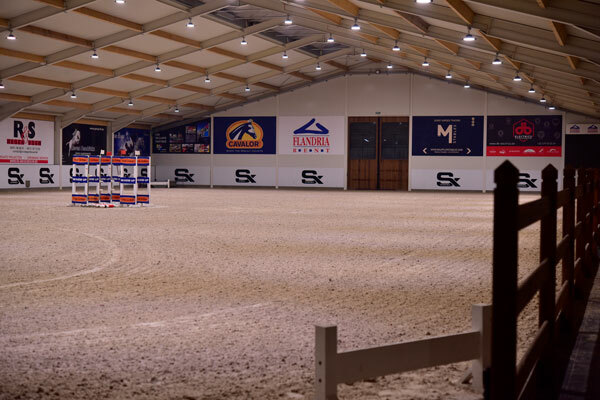 The new indoor hall is located near the stable block which ensures that the route from the stables to the warm up is short. 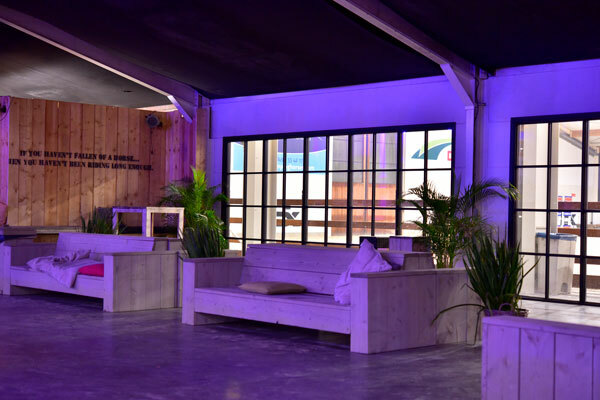 A promenade has been realized between the new hall and the competition arena. The two indoors are separated from each other by means of a glass wall. On this promenade, various stands will be available for the shopping audience. The promenade provides extra atmosphere and openness, it also ensures a nice separation between the two arenas. In addition to the indoor hall, the outdoor arena at the front of the complex will be used as a second unloading facility. In bad weather this arena will be covered with a tent. This year there is more enthusiasm than ever before for the four-star competition! With registrations from different countries, this year promises to be an exciting event with a large international field of participants. Today the registrations for CDI Lier close. View the photos of the new indoor hall here.